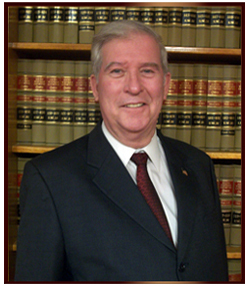 Mr. Bayless established the law firm at its present location in the heart of Cleveland, Texas in 1999 to serve the growing needs of Liberty, Montgomery, San Jacinto, Polk, and the surrounding counties in East Texas. Representing clients from all walks of life in every imaginable situation is the most gratifying experience any attorney can hope for. To achieve that reward requires not only a diligent, professional approach to the practice of law, but prompt personal attention to the precise needs of each client, and to the specific details of his or her case at a reasonable cost. To that end, Dan, with the able assistance of his office manager/wife, Darla, have assembled an experienced, profesional staff who are well trained and highly motivated in attending to the immediate needs of each and every client. The office is conveniently located and is equipped with the latest technology, which enables the staff to stay in touch with the attorney and the clients, and the clients are kept informed of the current status of their proceedings at all times. Mr. Bayless understands that the client’s objective is to achieve the desired result expediently and he shares that goal. His team’s experience, dedication, and determination to deliver cost-effective results for his clients has been central to the firm’s continued success and sterling reputation throughout the community. BaylessLaw.com © 2006-10 All Rights Reserved.